After posting a flurry of beer reviews early this fall, it’s been nearly two months since my last one. Here are two beers for your consideration this holiday season. Both of these are Special Release beers, so don’t wait too long if you think you might enjoy them. Please read responsibly! Fundamental Observation (2018): Bottle Logic Brewing. Anaheim, CA. 13.2% ABV. This is a big Imperial Stout, aged with Madagascar Vanilla beans in a blend of four different brands of bourbon barrels. Fundamental Observation pours cloudy black with a ¼” cocoa brown head that immediately fades to a paper-thin ring around the perimeter. The aroma is SWEET – vanilla, chocolate, brown sugar, caramel and oak. The flavor is also sweet, featuring vanilla, chocolate, bourbon, dark fruit, raisin, figs, and brown sugar. The vanilla is very pronounced on the back end, but fades to a nice lingering chocolate and bourbon aftertaste. This is definitely a sweet one. The vanilla is prevalent, but not overwhelming or unpleasant. It tends to balance out the dark grainy bitterness, which would probably be considerable. Where is the 13.2% alcohol? It’s not noticeable in the aroma or flavor, but of course my brain detected it in the form of a massive buzz for the afternoon. As Fundamental Observation warms, the bourbon becomes quite noticeable in the aroma, along with more intense notes of maple, toffee, and brown sugar. The underlying flavors – chocolate, dark fruit, raisin, brown sugar, and tobacco – deepen, increasing the complexity of this brew. Alcohol is now noted in the aroma and taste. The bourbon and vanilla flavors increase late on the palate and in the aftertaste. The finishing gravity must be fairly high in this beer, as it has a HUGE thick, creamy, silky smooth mouth feel. It is extremely full bodied with a low carbonation level. The thick body and mouth feel were my first impressions, even before the intense flavors were noted. 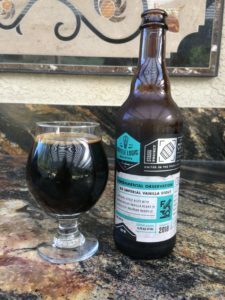 Note: Someone brought a bottle of Fundamental Observation and gave it to me at our Beer Appreciation party in September (see Mac’s Brew News, September 17, 2018, for additional information about the Beer Appreciation party). Unfortunately I don’t remember who brought it. Whoever gave this to me went WAY beyond thoughtful, and I need to say thank you to that brilliant person. After I drank the gift bottle (November 18, 2018), I saw Fundamental Observation the next day at Total Wine and bought another. Truly, this is one of the WORLD’S GREAT BEERS! 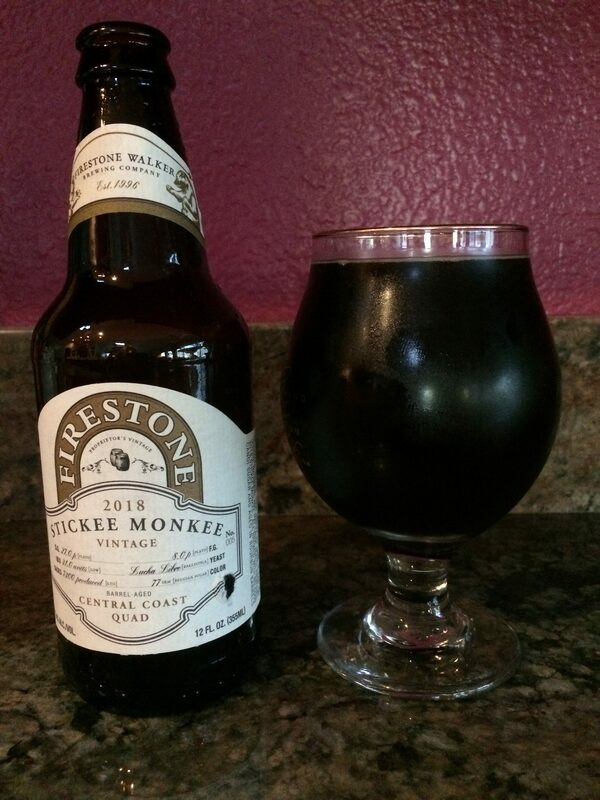 Stickee Monkee (2018): Firestone Walker Brewing. Paso Robles, CA. 11.4% ABV. According to Firestone Walker, Stickee Monkee is a “Central Coast Quad”. So what is that? It’s Firestone Walker’s take on the Belgian Quad style, brewed with Belgian candi sugar, then aged for over a year in bourbon barrels. Stickee Monkee pours dark brown with a very slight medium tan head that immediately fades away (leaving not even a slight ring). The aroma is brown sugar, toffee, and vanilla. The flavor is sweet, dark fruit, figs, raisins and brown sugar, with nuances of chocolate and coffee. No alcohol flavors (or aromas) are noted. The aftertaste, which lingers forever, is vanilla and toffee, with slight notes of tobacco in the late aftertaste. As Stickee Monkee warms, I note a bit more chocolate, along with some alcohol in the flavor and aroma. This beer features a thick, heavy body, with a creamy smooth mouth feel. The carbonation level is very low. Stickee Monkee is really good beer. I’m not a big fan of the Belgian style, but this one is different. I don’t know if it was fermented with Belgian yeast, but I suspect not, as I did not note any of the typical Belgian spiciness. I think Firestone Walker calls this a Quad because of the Belgian candi sugar among the ingredients. I highly recommend these beers. However, both are limited/special releases, so if you’re interested, you really need to look for them right away. I purchased both of these last week at Total Wine – $23.99 for a 500 ml bomber of Fundamental Observation, and $11.99 for a 12 oz. bottle of Stickee Monkee – but they had limited amounts of both. There you have it, beer lovers. Now go and reward yourself with a couple of World Class beers. Caveat: Fizzy yellow beer drinkers and cheapskates, don’t bother; these aren’t for you. By the way, this is my 100th post on Macsbrew.com. 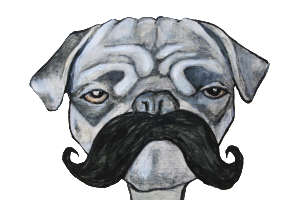 I hope you enjoy reading about beer and beer-related subjects. [How dumb is that? Of course you do, otherwise you wouldn’t be reading this.] Stay tuned for the next few years and we’ll see if I can make it to 200. 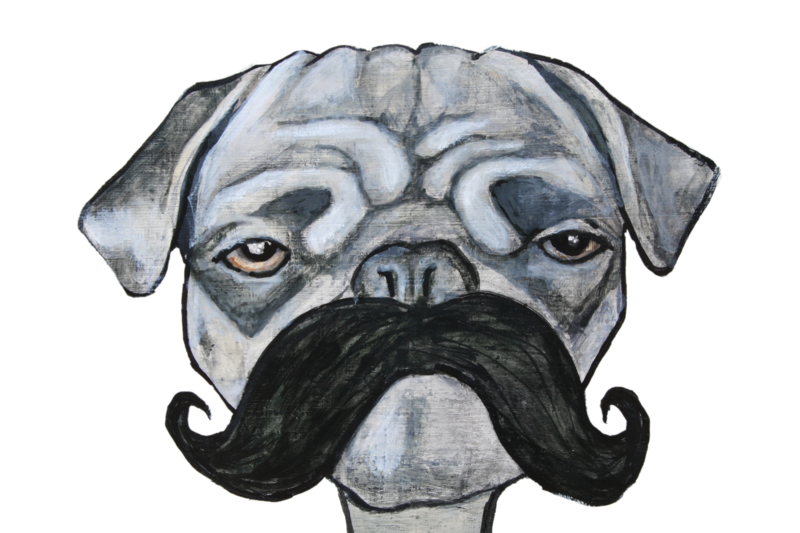 Special thanks to Joel Matulich, who set up this blog for me as a birthday present in 2012. You’re the bomb, Joel!